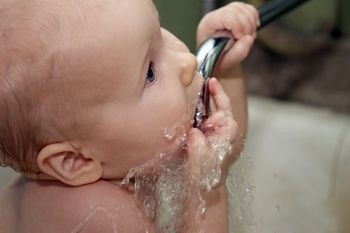 Is fluoride a potential cause of lowering of IQ in our children? Certainly those who advocate for consuming it therapeutically, without acknowledging its well-known adverse health effects, may themselves be suffering from a fluoride-induced deficiency of intelligence. Sixteen case-control studies that assessed the development of low IQ in children who had been exposed to fluoride earlier in their life were included in this review. A qualitative review of the studies found a consistent and strong association between the exposure to fluoride and low IQ. The meta-analyses of the case-control studies estimated that the odds ratio of IQ in endemic fluoride areas compared with nonfluoride areas or slight fluoride areas. The summarized weighted mean difference is -4.97 (95%confidence interval [CI] = -5.58 to -4.36; p<0.01) using a fixed-effect model and -5.03 (95%CI = -6.51 to 3.55; p<0.01) using a random-effect model, which means that children who live in a fluorosis area have five times higher odds of developing low IQ than those who live in a nonfluorosis area or a slight fluorosis area. Again, areas with the highest levels of fluoride exposure resulted in children with 5 times higher odds of developing low IQ than those in non- or low fluoride areas. Fluoride is not simply a toxic chemical, linked to over 30 adverse health effects. It also has psychotropic properties, which is why it is used in psychiatric medications for "treating depression." Case in point: fluoxetine, a fluoride-containing drug sold by the trade names Prozac, Sarafem and Symbyax. Nervous System — Frequent: emotional lability; Infrequent: akathisia, ataxia, balance disorder, bruxism, buccoglossal syndrome, depersonalization, euphoria, hypertonia, libido increased, myoclonus, paranoid reaction; Rare: delusions. The common medical definition for "emotional lability," also known pseudobulbar affect (PBA), is: "involuntary crying or uncontrollable episodes of crying and/or laughing, or other emotional displays" -- ironic, isn't it, that a chemical marketed as an antidepressant can cause involuntary crying? Also not exactly a rationality-promoting chemical either, is it? Another "infrequent" side effect of this drug listed is as "depersonalization." Since fluoride has been linked to the pathological calcification of the pineal gland, the traditional "seat of the soul," the depersonalization noted as a side effect of fluoxetine exposure, e.g. "...periods of detachment from self or surrounding which may be experienced as "unreal" (lacking in control of or "outside of" self) while retaining awareness that this is only a feeling and not a reality," could represent the general soul-dislocating effects of fluoride-containing drugs, and fluoride in general, on the pineal gland and other brain structures. This is, of course, is not simply an academic question. 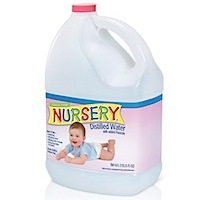 Companies market "Nursery Water" to new parents, designed to intentionally dose their infants with additional fluoride, even while it is well-known that many are already being overdosed with the stuff from infant formula, toothpaste, tap water-prepared food, etc. to the point that fluorosis, a fluoride-induced damage to and/or discoloration of the enamel of the teeth, can be detected in many of them. Shouldn’t these manufacturers be obligated to provide a warning to consumers: "may reduce IQ"? Or, perhaps I am thinking too much, having neglected to take my daily dose of FDA-, EPA-, ADA- approved fluoride. Listed below are links to blogs that reference this entry: Can Fluoride Lower Human Intelligence?. This page contains a single entry by Toni published on June 1, 2012 10:10 AM. 6 Bodily Tissues That Can Be Regenerated Through Nutrition was the previous entry in this blog. Parents Protest Vaccination Awareness Week Arranged By The WHO is the next entry in this blog.